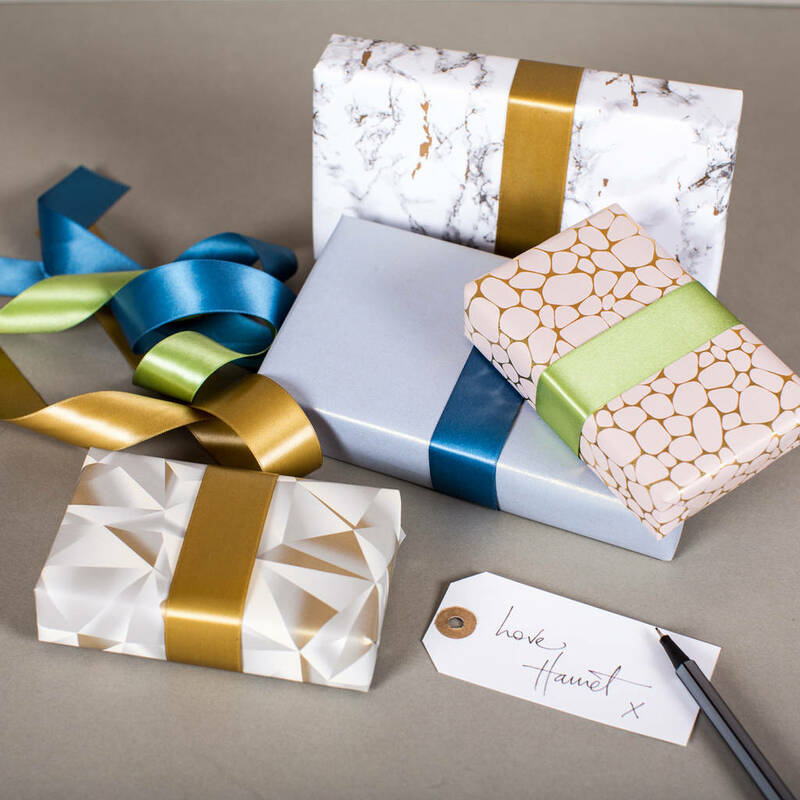 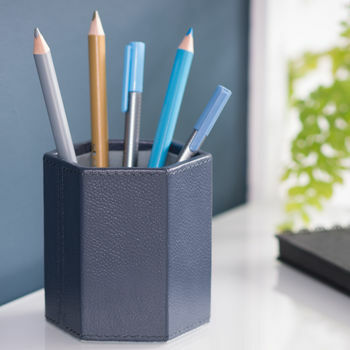 New and exclusive to Ginger Rose, our bespoke hexagonal leather pen pot will help organise a messy desk. With its cool geometric lines this hexagonal leather pen pot will keep your writing utensils to hand when the phone rings. 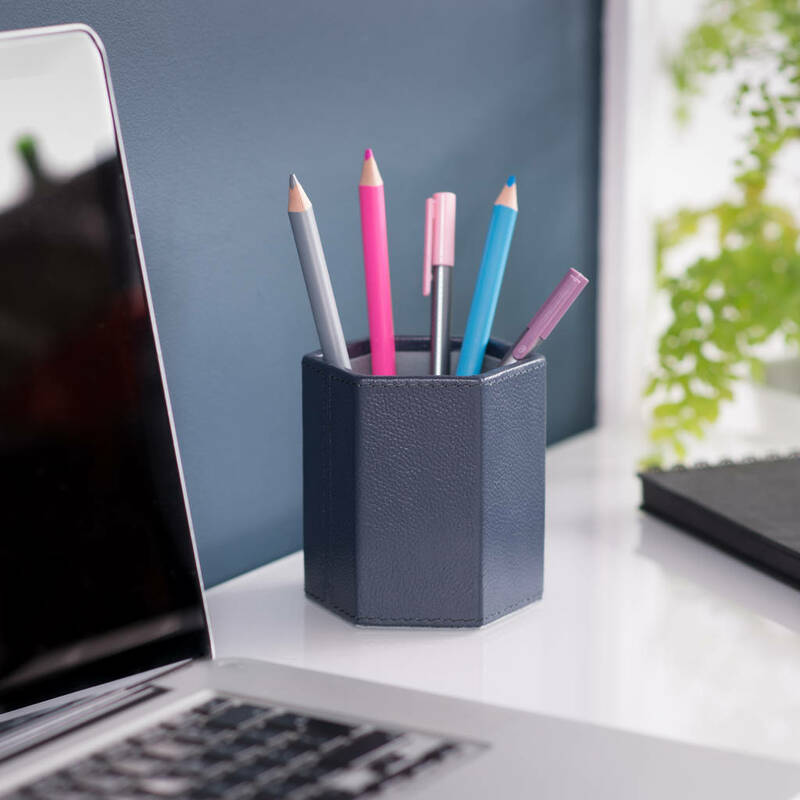 Proudly display on the desk at work or home, its pebble textured exterior is guaranteed to look smart and keep the pots contents tidy. 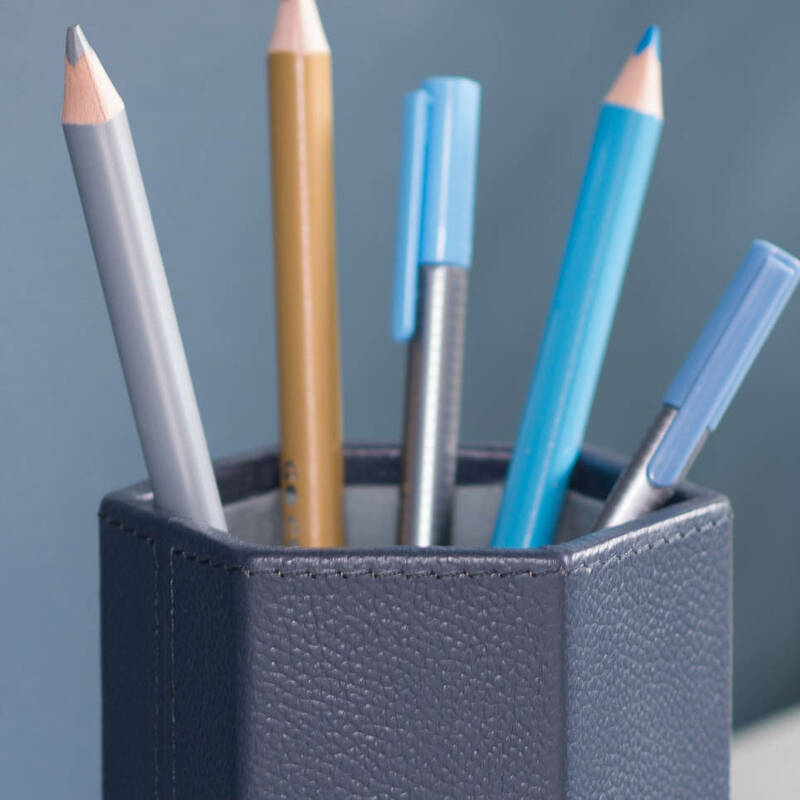 Complete the look with the matching desk blotter or desk tray, visit our storefront to view our full range of leather desk accessories.